Wielkopolska's varied landscape encourages active recreation. The local forests and lakes are among the most beautiful in the country. Tourists can also experience numerous landscape parks, hiking trails and bicycle paths, as well as many charming, historic manor-houses, palaces, and parks scattered throughout the region. If someone thinks that it's not enough, they simply have to visit the monuments in the region's capital – Poznań. The Wielkopolska Region is located on a lowland area among the basins of three rivers: Warta, Noteć, and Prosna. With beautiful landscapes rich in lakes, forests, and hills, which owe their current character to the Weichselian glaciation, the region is very attractive for people interested in active recreation. In addition, in Wielkopolska tourists will find places related to the cultural heritage of the country – after all, it is here that the Polish statehood began to form. If we add a well-developed tourist infrastructure, the area seems to be an ideal tourist destination. Legally protected areas represent 32% of the region's total area. They include, among others, two national parks: the Wielkopolska National Park and a fragment of the Drawa National Park, thirteen landscape parks, three of which are located across two regions, 98 nature reserves, and numerous natural monuments (e.g. the famous Oaks of Rogalin). Large clusters of forest areas together with their surrounding areas, in addition to their health qualities, are also a convenient place for various forms of sport. Numerous lakes (among others, Powidzkie, Zbąszyńskie, Chrzypskie, Skorzęcińskie, Domnickie, Pątnowskie, Gosławskie, Mikorzyńskie, or Kierskie) are the perfect place for water sports enthusiasts. Areas surrounding Czarnków, Chodzież, Mosina, Osieczna, and the Ostrzeszów Hills, in turn, offer perfect conditions for cross-country skiing. Various hiking, biking and canoe trails (e.g. along the Drawa, Gwda, Piława, or Prosna) are very attractive in terms of their landscapes and cultural meaning. Wielkopolska is a paradise for biking aficionados. The region has the Wielkopolska Bicycle Lane System which includes almost 1800 kilometres of trails. It was developed by the Department of Sport and Tourism of the Marshal Office in Poznań and awarded the Certificate of the Polish Tourist Organization for the best tourist product. It consists of nine routes of regional importance, covering the entire region. These include: the Ring Around Poznań (293 kilometres, along with seven connecting trails from Poznań), the Transwielkopolska Bicycle Route (480 kilometres from Okonek, through Poznań to Siemianice near Kępno), the Piast Bicycle Trail (104 kilometres along locations related to the origins of the Polish State), the One Hundred Lakes Bicycle Trail (110 kilometres of beautifully scenic ride among forests and lakes), the Nadwarciański Bicycle Trail (372 kilometres, the most interesting natural cycling trail in Wielkopolska leading along a flood bank from Międzychód, through Poznań to the Jeziorsko Reservoir), The Amber Bicycle Trail (200 kilometres), connecting Syców in Lower Silesia with Lake Goplo), and the Gentry Bicycle Route (245 kilometres near manor-houses, palaces, and stud farms). The www.gpswielkopolska.pl website features GPS traces of these trails and a free topographical map of the entire region in a base scale of 1:50,000 dedicated for Garmin devices. Weekend or vacation on water? Why not? Wielkopolska also offers numerous canoeing trails, rivers and lakes just waiting for water-lovers. One simply has to recommend the rivers Dobrzyca, Drawa, Gwda, Łobżonka, Obra, Piława, Płytnica, the Konwaliowy Canoe Trail along Przemęckie Lakes, or the Small Loop of Wielkopolska. For many years, the region's greatest attraction is The Great Waterway Loop of Wielkopolska, a waterway leading through the Wielkopolska, Lubuskie, and Kujawy-Pomerania regions. The Great Waterway Loop of Wielkopolska has a total of 687.9 kilometres and encompasses the River Warta (from Konin to Santok), the River Noteć (from Santok to Nakło), the Bydgoszcz Channel (from Nakło to Bydgoszcz) and the Bydgoszcz Channel – Warta waterway (from Bydgoszcz to Konin). The entire Loop is available to units with a draft of 60 cm, width of up to 4 metres and length up to 20 metres. Larger watercrafts sail only on lower Warta and Noteć and the Konin – Kruszwica stretch. The Great Waterway Loop of Wielkopolska connects Poland's waterways with the extensive network of western European waterways (via the Oder River and Szprewa River) and the waterways of Eastern Europe (via the Vistula River, Narew, and Nemen). The northern section of the Loop is part of the International Waterway E70 leading from Antwerp to Klaipeda. As it can be seen, one could sail along the Loop for weeks, visiting different places each day, or dividing the journey into sections by choosing shorter routes and numerous sightseeing and aquatic activities. People interested in Wielkopolska's cultural heritage should witness the local castles, palaces, and manor-houses. Most of them have been restored and house valuable collections of museum exhibits today. There are many open-air and cultural events, as well as high-standard hotel and conference centres. Each of these monuments has its unique history preserved in the Polish culture. Wielkopolska National Park – a protected area encompassing 7583.9 hectares located 15 kilometres south of Poznań within the Luboń-Mosina-Stęszew triangle. It is among the most picturesque locations in Wielkopolska, featuring various glacial landforms, among others, ribbon lakes, with the Góreckie Lake and its Zamkowa Island considered the most beautiful, and unique communities of plants and animals of significant natural value. There are educational paths, hiking trails, and bicycle paths running throughout the Park. It is also worth to visit the WNP Museum and Educational Centre in Jeziory, where the Park Management is situated. Drawa National Park – situated in north-western Poland, on the border of Lubuskie, West Pomerania, and Wielkopolska regions. It has been established to preserve river valleys and lakes in the centre of a large forest complex. The most valuable elements of the Park include natural rivers with pure waters, with trout, brown trout, and grayling spawning grounds, as well as beaver and otter habitats. The fortifications of the Pomeranian Wall stretch across the Park, as well as an attractive canoeing trail on the Drawa River. Picturesque landscapes make the Drawa National Park popular among many tourists. are areas protected due to natural, cultural, and historical reasons, which can be used for recreation and sightseeing. They encompass an area of 180,000 hectares. 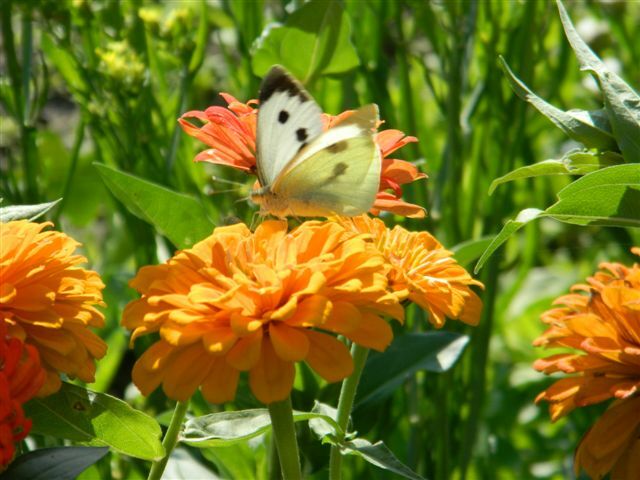 The parks are managed by the Management of the Landscape Parks of the Wielkopolska Region. Sieraków Landscape Park (30,413 hectares) – situated in the western part of the Wielkopolska Region. It attracts tourists with its dense network of marked hiking trails, numerous holiday resorts, as well as manor and park complexes. Many moraine hills, river valleys and forests compose its picturesque landscape. Powidz Landscape Park (24,600 hectares) – there are several lakes within its boundaries with some of them exceeding 50 hectares (such as Lake Powidzkie with deep-sea fish species present here: vendace and European whitefish). Holiday resorts located among large forest complexes and lakes, as well as trails running through the park, contribute to tourism and recreation. Here one can see numerous protected animal and plant species. Puszcza Zielonka Landscape Park (12,000 hectares) – established to conserve the remains of the primeval forest complex of central Wielkopolska, i.e. pine coniferous forest and larch and pine mixed forest. The park features monumental trees (such as the oak by the road to Dąbrówka Kościelna). The tower on the Dziewicza Mountain is a perfect observation point and an undisputed attraction of the Park. The picturesque area of the Puszcza Zielonka Landscape Park is ideal for hiking and cycling. Warta Landscape Park (13,428 hectares) – an area of unique ornithological importance where over 100 bird species are nesting, such as common snipes, block-headed gull, Northern lapwings, black-tailed gotwit, common redshanks or common kestrels. Water and marsh birds have also found their refuge here. 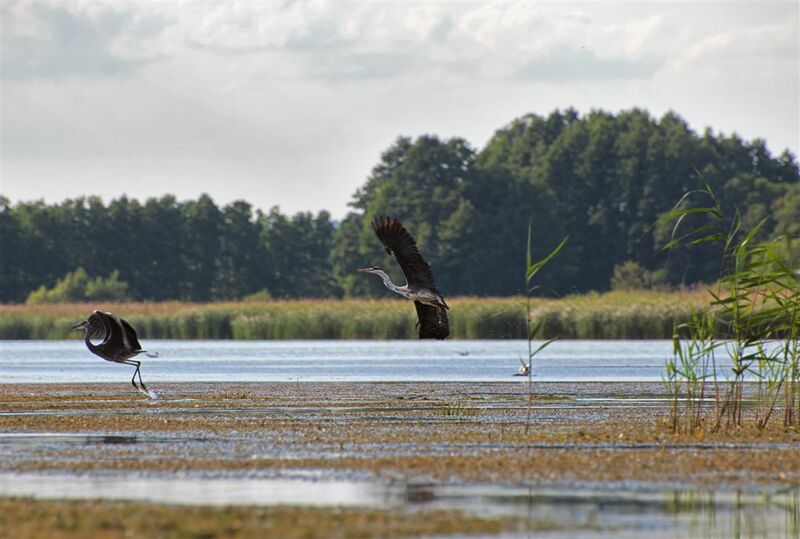 Water and marsh birds have also found their refuge in the Żerków-Czeszewo Landscape Park (15,794.84 hectares) which protects a typical glacial landscape with an ice-marginal valley and the Warta River flowing along its bottom. Rogalin Landscape Park (12,750 hectares) – it conserves one of the largest stands of English oaks in Europe. The Rococo and classicist palace in Rogalin and its park with three famous oaks – Lech, Czech and Rus – are among the most famous historical structures, as well as park and palace facilities. The Riparian forests of Rogalin make up a refuge for many endangered species of birds. General Dezydery Chlopawski Landscape Park (17,200 hectares) – it is located within the boundaries of the following communes: Czempiń, Kościan, Krzywiń, and Śrem. Unique buffer strips are the attractions of the park. The park also features numerous crop fields, wayside tree alleys, forests and ponds. Numerous trails make the park popular among families. Wielkopolska's cultural heritage is very rich, which is mainly due to the region's history as the birthplace of Polish statehood and Church. Many historical monuments in Wielkopolska originate from the 10th and the 11th centuries. Aside from Poznań itself, where history has left numerous marks, and picturesque historical buildings located in smaller towns, particularly interesting highlights include towns along the Piast Trail, as well as numerous castles and palaces situated throughout the entire Region. The Piast Trail – one of the greatest attractions of the region. It is the oldest route of its kind in Poland, connecting the most important monuments associated with the origins of the Polish state. It is a tourist trail of unique historical and educational values. The idea and message of the trail is to present authentic historical buildings and objects related to the origins of Poland itself and Christianity on our lands. In recent years the Piast Trail underwent reconstruction in order to make it far more authentic. Thanks to the actions of local governments of two regions: Wielkopolska and Kujawy-Pomerania, the former figure-eight-shaped route has been replaced by two crossing trails that merge in Gniezno. The first one starts in Lubiń, and currently runs through Śrem, Poznań, Pobiedziska, Moraczewo, Ostrów Lednicki, Gniezno, Trzemeszno, Mogilno, Strzelno, Kruszwicę, Inowrocław, Płowce, and Brześć Kujawski to Włocławek. The second begins in Wągrowiec and leads through Łekno, Żnin, Biskupin, Gniezno, Grzybowo, Giecz, Ląd nad Wartą, and Konin to Kalisz. When on the trail, one can witness numerous monuments related to the origin of Polish statehood and the history of our region. Cultural routes allow tourists to visit the most valuable objects associated with the past, history, and culture of the region. Thanks to organized trips, they allow to see and explore many attractive places. Cisterian Trail – associated with the movement of Cisterians in the Wielkopolska Region. When on the route, you are welcome to discover the monuments left after Cisterian abbeys established when Cisterians were brought to Poland in the Middle Ages. These include, among others, beautiful complexes of former abbeys and baroque churches with exceptional furnishing and valuable collections of artworks. There are many towns in Wielkopolska that featured Cisterian abbeys: Owińska, Wągrowiec (church and former Cisterian abbey), Tarnowo Pałuckie (a spectacular 19th-century palace reminiscent of 17th century architecture of French castles), Łękno, Słupca, Ląd (Cisterian abbey), Pyzdry, Lubiń, Przemęt, Wieluń Zaobrzański, Kaczor, Obra, Gościkowo, Bledzew, Zemsko, Kamionna, and Orzeszkowo. Romanesque Trail – a tourist trail focused on culture, education and religion for people interested in history and persons on pilgrimage routes. It is related to the formation of Polish statehood. The route includes the most important places and monuments connected with the Piast monarchy. The main locations of our region where Romanesque churches survived to the present day include: Giecz, Gniezno (the Cathedral Basilica of the Assumption of the Blessed Virgin Mary), Konin, Ostrów Lednicki, Poznań, Trzemeszno, Tulce (Birth of St. Mary Virgin Church). St. James' Trail – it is a pilgrimage route starting in Mogilno, and leading through Gniezno, Murowana Goślina, Poznań, Lubiń, Leszno in the direction of Głogów. The marked trail features many religious buildings, including churches connected with the life of St. James. The trail is marked on the Gniezno-Głogów-Zgorzelec section by a white shell with the cross of St. James. European Broadband Award for the construction of the Wielkopolska Broadband Network in 2016. Winner in the "Innovative models of financing, business and investment" category.